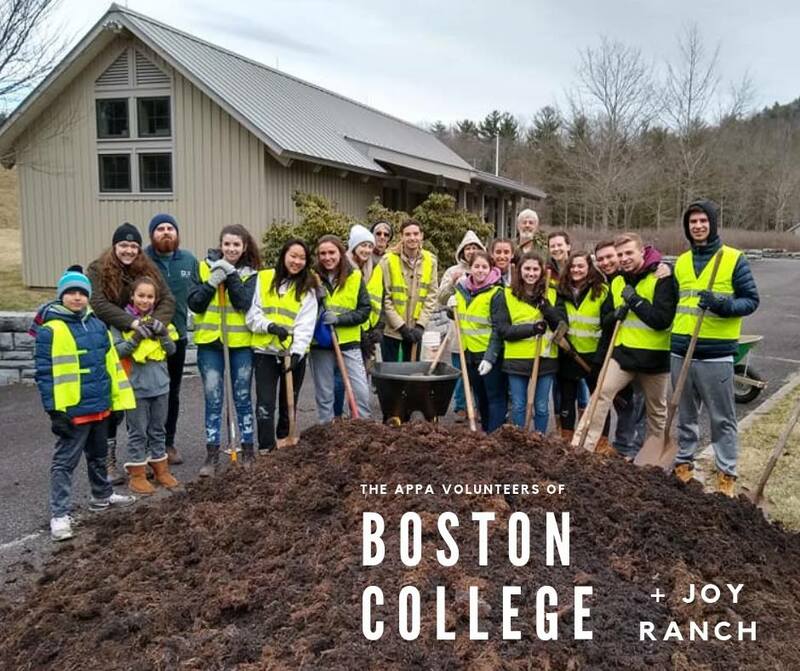 This week, Joy Ranch was blessed to partner with a group from the Appa Volunteers of Boston College! This group had contagious energy, and every member was full of kindness, perseverance, and fun! They helped us renovate one of our buildings, worked tirelessly in our soon-to-be Educational Resource Center, and helped our Facilities Manager in our Ruby Handy Industrial Arts Building, in addition to working with The Friends of the Blue Ridge Parkway on several projects! Groups like these help Joy Ranch to continue serving, loving, and providing for children in crisis. It was an honor to work alongside this wonderful team! A huge THANK YOU to our BC Appa Volunteers for all of their hard work, kindness, and generosity!